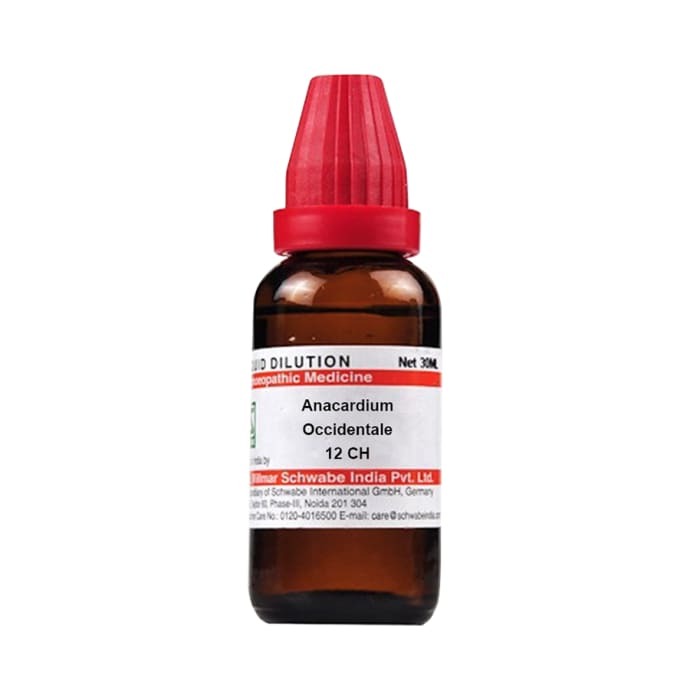 Dr Willmar Schwabe India Anacardium Occidentale Dilution is an effective homoeopathic remedy which is primarily used for the treatment of disorders of the nervous system and is highly effective in correcting impaired memory and relieves signs of depression. It improves moods and is an excellent remedy to boost energy and relieves signs of weakness and exhaustion. Anacardium acts as a mild sedative and promotes better sleep.